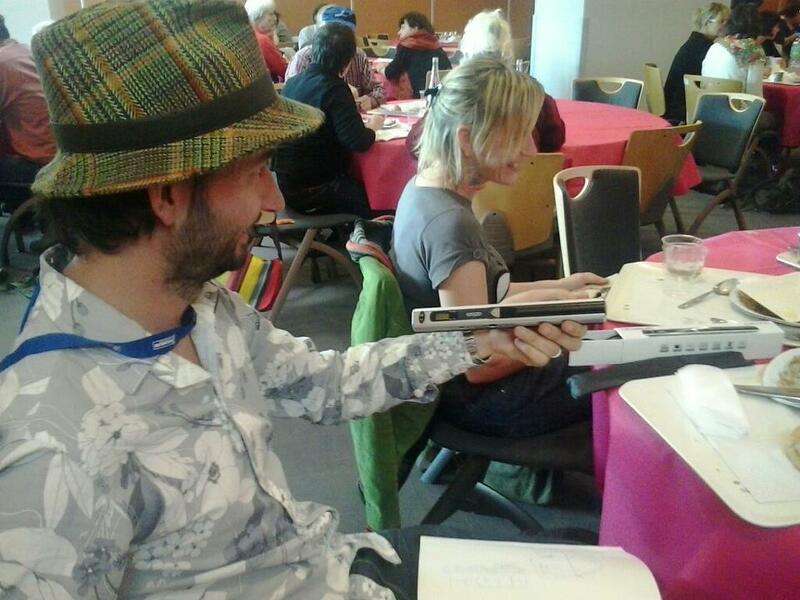 I spent a fantastic time in Clermont Ferrand meeting old and new friends. I am so looking forward for the next Urban Sketching Symposium in Barcelona to meet them all again. I went to Clermont-Ferrand, for the pure curiosity of knowing what it is about. Their website was a little confusing even if it is (partially) translated to English. And although I had asked some people who where there before, many things were still not clear to me. For esample the festival used to be every two years, that is why you find in some places still the word Bienale, but due to its success now is every year. 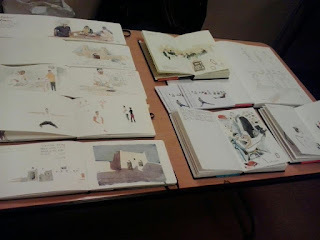 Like Graphic Novels, illustrated Carnet the Voyages are very popular in France. French publishers houses are more open to ideas and projects that the ones from other countries. That is one of the reasons to go, but also to get the opportunity to meet many great artists and get inspiration and ideas. After eating something I went back to the station to draw with David Magli "Emde". I decided to draw something big, since I didn't have much to decorated my stand. Zines: Zines where everywhere. Zines are small little self-publications. They were very popular as part of the punk-anarchist culture. Just a a Photocopy Machine and you can share your thoughts and drawings. With self publications services online, they are experimenting a comeback. (I see them in Berlin everywhere) Every sketcher should do one. It is also a great way to show your work to potential publishers and to even to make some money. The Festival got a self publishing shop for the visitors, that was very popular . We should do that in Barcelona, too. All zines from Andrea Joseph. Her work is fantastic! I found a lot of inspiration in her zines. Fantastic quality for such a small price. I am sure they will be collectors items in the future. Palestine dans quel etat? by Emmanuel Prost and Maximilien Le Roy. 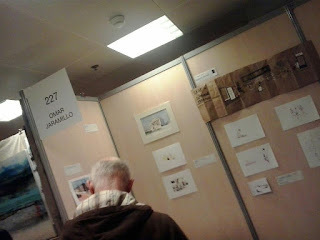 I don't understand French, but Emmanuel drawings and portraits are so intimate. Zines from Nicolas Jolivot, he got a series of litle books concentrated in food in diferent countries, I bough one about Guyana and Marroco. We really didn't have much time to see the city and draw. 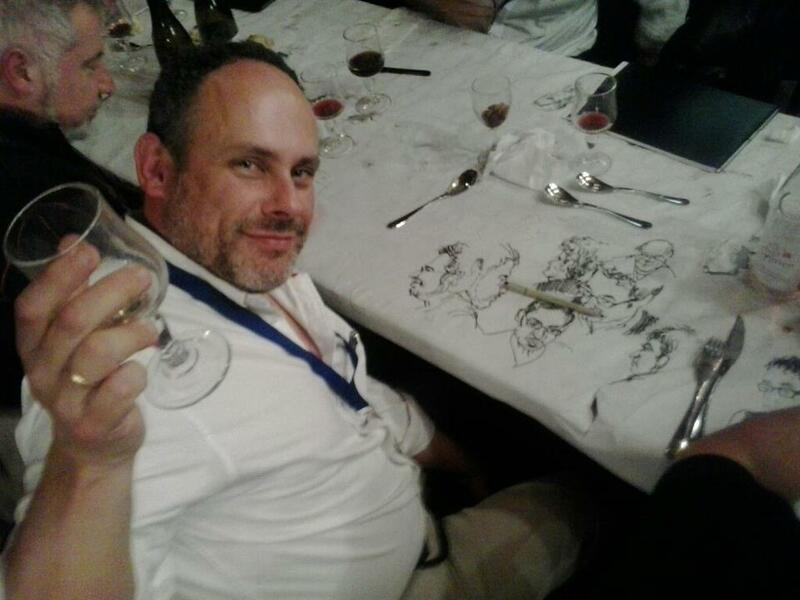 We did portraits of each other during the dinners. And on the morning of the 19 before taking my train to Paris, I did walked in the city and made a few fast sketches that I will post soon.